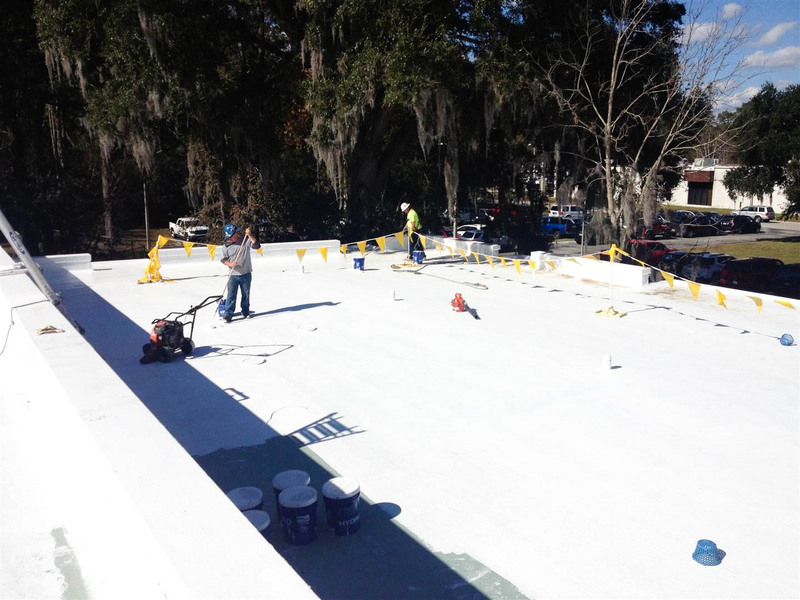 NAS Jacksonville 2091 | CYE Enterprises, Inc. 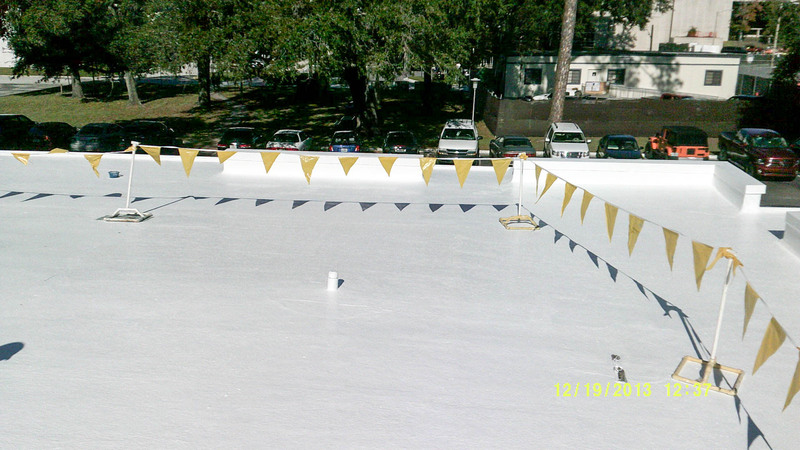 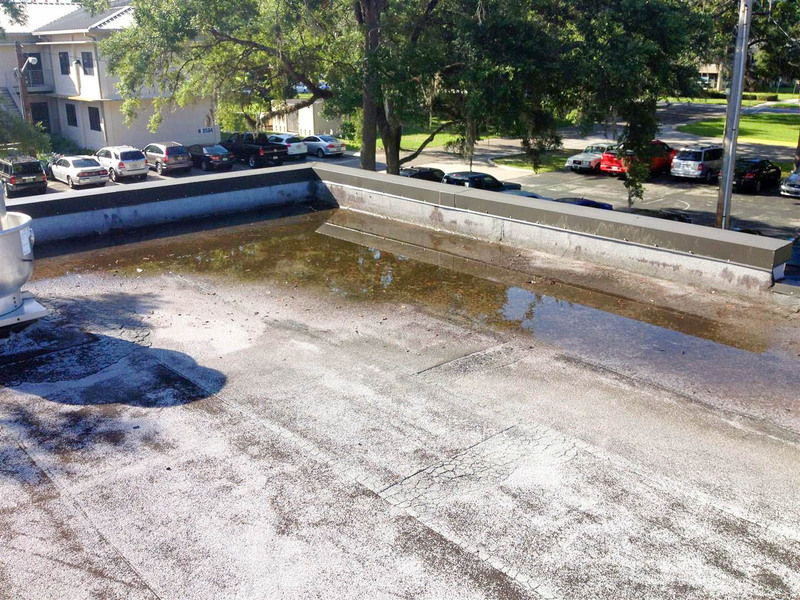 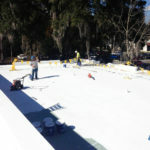 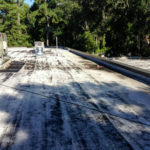 In 2013, CYE was commissioned by NAS Jacksonville to install a leak-free coating system over the existing membrane roof of a 23,000 square foot building. 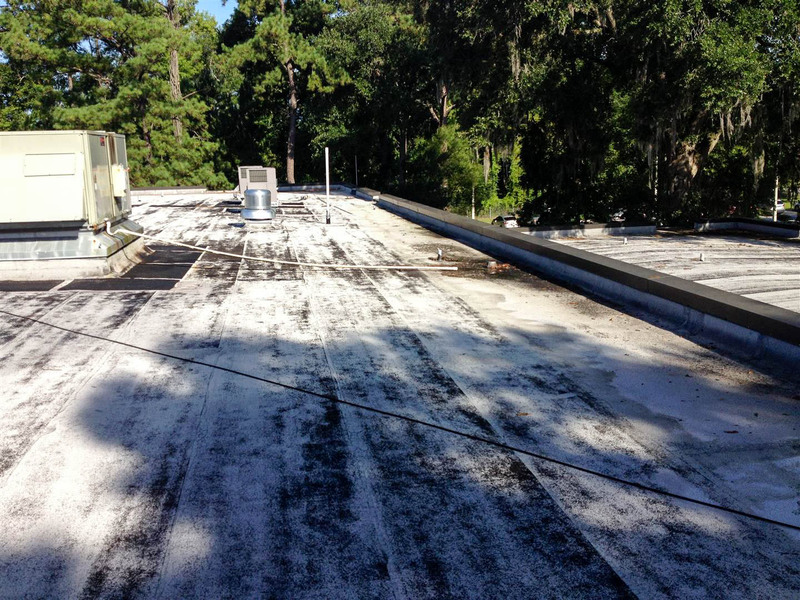 This building had existing drains, rooftop units and penetrations that required a specialty flashing system. 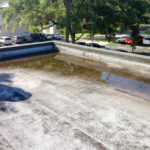 The project was challenged by an existing ponding water condition that needed correcting and with very low parapet walls. 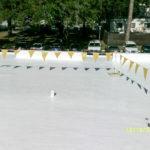 CYE received “above average” and “outstanding” project ratings from the customer.